Each December, the Ambassadors of Harmony present one of the country's best attended holiday choral programs. The show promises to warm your hearts and lift your spirits. Elves backstage at AOH's 2007 Christmas show. The Ambassadors of Harmony are among the featured choruses invited to perform in the Coronet Club concert during the Sweet Adelines International convention in downtown St. Louis. The Ambassadors of Harmony will host and compete in this year's Central States District convention in St. Charles! You're not going to want to miss what the 2018 CSD Fall Convention has to offer. 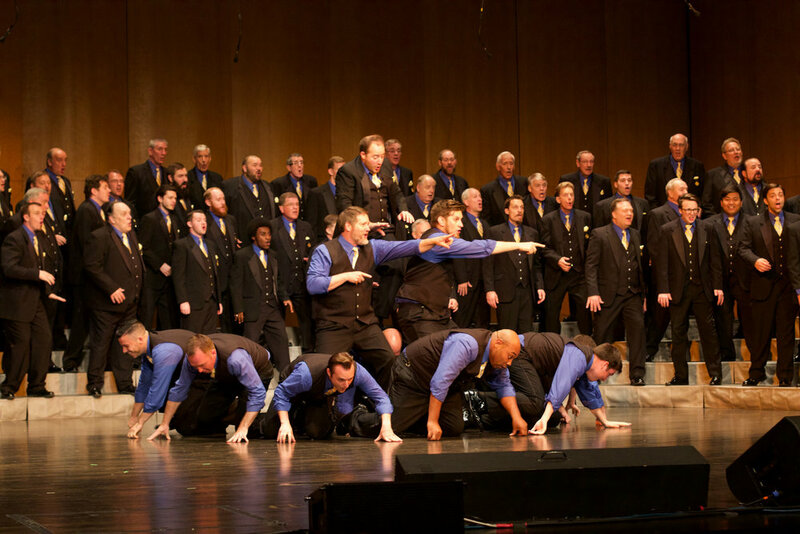 Classes from some of the top barbershop coaches/teachers in the world, a Saturday Night Spectacular show featuring THREE International Gold Medal Quartets! Not to mention the crowning of our 2018 District Quartet Champion and the International Chorus Qualifying contest. 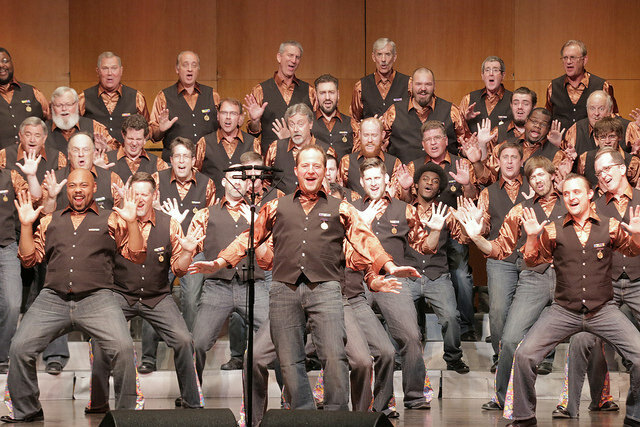 The Ambassadors will be singing their versions of sacred a cappella and barbershop music. Benefiting our youth outreach programs - an elegant evening with the Ambassadors, special guests, a silent auction & more! Get ready for an excellent a cappella Christmas show that will get you in the spirit of the holiday! Youth singers + AOH at Westminster Academy. FREE! The Ambassadors of Harmony, ClassRing (International SAI Rising Star Champions and International Medalist women’s quartet) and, of course, the Acappellooza Summer Choruses. Those of you who have been to any of the concerts in the past four years already know what an inspirational experience this concert is. The Showcase is the culmination of our Acappellooza Summer outreach project. For four days (July 11-14) high school students from across the country will be immersed in singing, led by some of the world’s most prominent names in a cappella music. In just those four days they will prepare a fully scripted and choreographed performance that will knock your socks off. It is our sincere wish that these students come away with an amazing and fulfilling music experience that they will remember for years to come. So, please join us…we’d love to see you there and your presence will help to support these talented young students! Brace yourself for an a cappella explosion! Tickets on Sale Monday April 17, 10am. Special opportunity to purchase tickets to AOH Christmas shows Dec 8-10 with purchase of June show tickets--call the box office at 314.516.4949 for details! Featuring…The Ambassadors of Harmony, Windsor (International top-5 women’s quartet), After Hours (International top 10 men’s quartet) and, of course, the Acappellooza Summer Choruses. The Ambassadors of Harmony are honored to be a special guest at the Southwest American Choral Directors Association's 2016 Conference. This is a rare honor for a barbershop group--it hasn't happened in years, and we are thrilled to represent the Barbershop Harmony Society in front of choral directors from Missouri, Arkansas, Texas, Oklahoma, Kansas, Colorado & New Mexico. Not open to the public. The Ambassadors of Harmony® are honored to be a special guest at the 2016 Missouri Music Educators Association's Conference. This is a rare honor for a barbershop group--it hasn't happened in 13 years, and we are thrilled to represent the Barbershop Harmony Society in front of choral directors from around our state. Not open to the public. 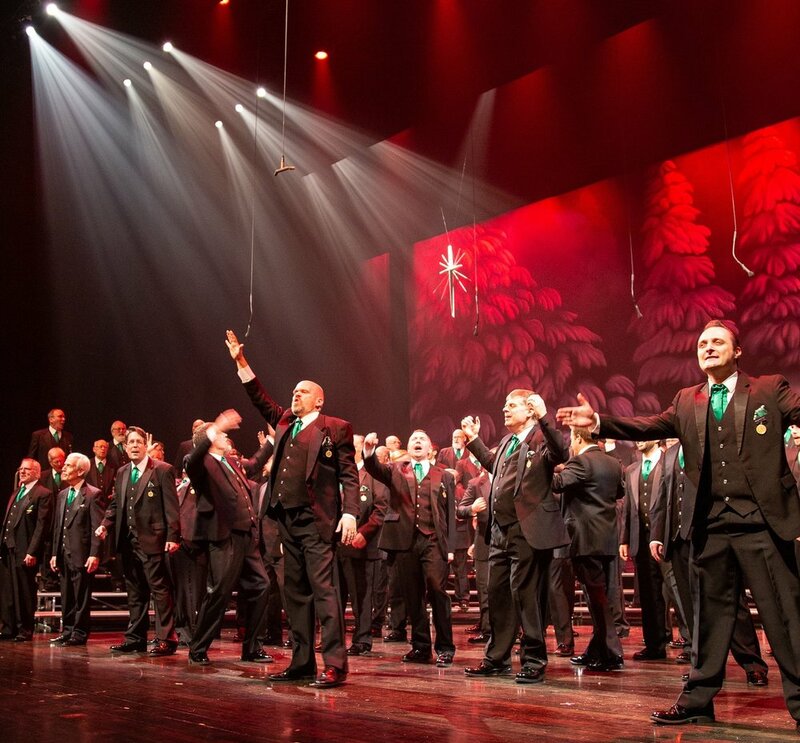 The Ambassadors of Harmony present Sounds of the Season 2015 at the Touhill Performing Arts Center on the University of Missouri-St. Louis campus. Our annual Christmas show will warm your heart and lift your holiday spirits! BUY TICKETS: Dec. 11: 8 p.m.
BUY TICKETS: Dec. 12: 2 p.m. and 8 p.m.
BUY TICKETS: Dec. 13: 2 p.m. and 7 p.m.
Tickets go on sale October 12th at the Touhill ticket office or by calling 314-516-4949.